Enjoy Shopping Online with Shopbop Coupons, Discounts, Promos, and more! As much as we want to shop in store to try out a new outfit, you won't find every brand you like nor the items that you need to create your #OOTD. If you can't find the items or the brands in store, it's time to put your trust in the Internet with Shopbop's exciting selection of fashion items. From clothing, accessories, bags, shoes, and everything in between, Shopbop gives you hand-picked selections that would certainly suit your modern style. Shopbop was first established in 2000 as a denimwear-focused e-commerce platform but had certainly proved to be much more. Today, Shopbop provides one-of-a-kind service, unparalleled wardrobe advice, edgy lookbook inspirations, and even exclusive collaborations for your satisfaction. So, if you are looking for a trusted e-commerce platform that can answer to all your fashion needs, choose Shopbop! Browse on the site. The first thing you need to do is find the items that you want. You can do this by exploring different categories, brands, and using the search engine on the website. By doing this, you will get a selection of items you might be interested in. Check the product. Each item on Shopbop has its own page where you can check details such as the material, sizing, available colors, and more. If you want to purchase this product, check the size chart, order the right size and preferred color, then click on Add to Cart. Proceed to checkout. Once you have everything in your cart, you can now proceed to checkout. Login to your existing Shopbop account or sign up for one, select your preferred shipping and payment method then enter your details. Make sure that all information provided is correct. Then proceed to checkout. After your purchase is confirmed, you will get an email containing a summary of your order. A separate email will be sent once your item is already in shipment. Shopbop provides flexible payment options that would suit your preferences. The store accepts all major credit and debit cards such as VISA, American Express, JCB, Diner's Club, Discover, and MasterCard. Shopbop is a trusted website that employs cutting-edge security protocols that would keep all your banking information safe providing you with a secure shopping experience. Shipping and delivery is something that online shoppers have anxieties about… but not with Shopbop! Shopbop employs the cheapest and fastest shipping couriers so that you can get your items as fast as possible. You can take advantage of the online store's free shipping by purchasing items more than USD$10 which takes about 7-20 shipping days to reach your doorstep. However, if you want free and faster shipping, you can purchase items above USD$100 and take advantage of the deal! In the event that you are not satisfied with your purchase, you are free to return your items within 30 days after it reached your doorstep. All items should be unwashed, unaltered, and unworn, complete with all original packaging and tags. 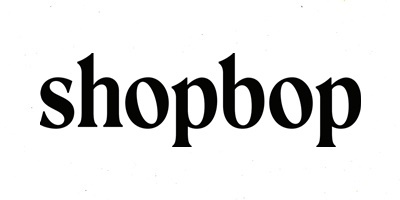 The best thing about Shopbop is their exciting selection of discounts and offers in the form of coupons. Coupons can be used to unlock exclusive deals for as much as 40% off on your shopping cart. All you need to do is redeem the coupons that you see above this page, here's how. Scroll up to view the latest coupons available for use. After clicking you will be routed to a different page where you can copy the code. Once you have everything you need on your shopping cart, simply paste the code into the discount box provided. All you need to do is apply the code and enjoy exclusive discounts from Shopbop Malaysia and New Straits Times! *Keep in mind that there are coupons that do not require a coupon code. Once you click the button, you will be directed to the Shopbop sale page and shop as usual.